Identity theft is a serious crime in which your personal information is stolen and used without your consent, resulting in the loss of your funds and a negative impact on your credit. Having your identity stolen can happen in a variety of ways: thieves can dig through trash to find mail with your personal information, steal your ID, use an electronic device to swipe personal information from an ATM, steal information shared on unsecured websites and Wi-Fi, hack your smartphone, or even phish for your information with fake calls or emails. How Do I Know If I'm A Victim Of Identity Theft? The earliest signs of identity theft include seeing unauthorized withdrawals from your bank account, strange charges on your credit cards, and more than one tax return filed in your name. When your identity has been compromised, thieves can have access to your name, address, credit card information, bank account numbers, and Social Security number. In a more serious scenario, you risk being arrested for the crime perpetrated by the identity thief if it is committed in your name. How Does This Affect My Credit? Once your information is compromised, thieves can use it to open new phone or utility accounts, steal your tax refunds, steal money from your bank account, acquire new credit cards, make unauthorized purchases, and even get medical treatment with your personal information. Late payments: An identity thief may able to get a credit card, run up a bill in your name, and leave it unpaid, which means you are the one who will be affected if the credit card company believes you are not paying the bills. Collections: If enough time goes by with unpaid bills, lenders turn these debts over to a collection agency, which results in a negative hit on your credit. Cash loans and foreclosures: An identity thief can use your personal information for a loan or mortgage. Fradulent accounts: Thieves can open fraudulent financial accounts in your name. Your chances at any future job prospects are diminished greatly. Half of all employers look at your credit history since many believe reliable payments can indicate a reliable employee. Apartment and house hunting is made difficult when property managers check your credit and charge you a hefty deposit for a low credit score. Your car insurance rates can be raised in most states. If someone impersonates you and commits a serious crime, you can be left with an arrest on your criminal record. Your tax refund can take longer to get to you. What Do I Do After Identity Theft? Report identity theft to the FTC: If your identity was stolen, you should report it immediately to the Federal Trade Commission (FTC). You can either call them at 1-877-438-4338 or go to their website and file a report at www.identitytheft.gov. This report can be used to prove to the necessary parties that you are a victim of identity theft. File a police report: Identity theft is a serious crime and should be treated as such. Filing a police report through your sheriff's department is extremely important. Not only may they be able to catch the thief and prosecute them, but having an official record reinforces the fraud claims for your creditors. Contact your bank and lenders: Call your bank, credit card company, retailers, and credit reporting agencies as soon as possible and let them know if your credit cards or other accounts have been compromised. Most credit card companies will refund any fraudulent charges, cancel your card, reissue new cards, and contact the credit bureaus. 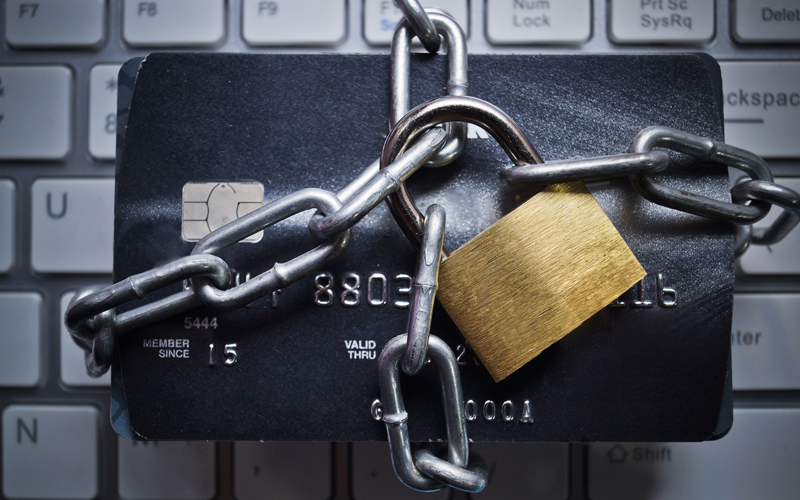 Even if your credit card issuer does not contact your creditors, you should. Activate a fraud alert or credit freeze: To avoid identity theft in the future, you can contact all three major credit bureaus directly (by phone or online) to put a fraud alert on your credit report. A fraud alert lasts for 90 days and requires you to take extra steps (such as being contacted by a lender to verify your identity) to apply for credit to authorize any new accounts. If a lender can't contact you, the application or account will be denied due to fraud. If you want to take stronger precautions, you can contact the bureaus online or by phone and opt for a credit freeze that stops anyone from accessing your credit report. In the case you need to temporarily lift a credit freeze (such as when you are applying for new lines of credit or know that a potential employer or landlord will implement a credit check), you can simply contact the bureaus before a credit check and give them the PIN that you received during the credit freeze. Keep in mind that a credit freeze doesn't prevent identity theft or prevent fraud that is not related to your credit reports. Fix your credit: Most identity theft victims don't realize what has happened until months afterward, which can result in serious damage to your credit score. It is essential that you take the correct steps to repair your credit. If you pursue credit repair on your own, your first step should be to obtain copies of your credit reports from the three major bureaus (Experian, Equifax, and TransUnion) and look for any inaccurate and unverifiable information -- specifically the accounts that were affected by identity theft. You can obtain one free credit report once a year through www.annualcreditreport.com. (For more information on how to successfully repair your credit on your own, read our guide on DIY credit repair.) You can then dispute this incorrect information with the credit bureaus. Be sure to include a copy of your police report and any information from your lenders to help the process move along smoothly. After the information has been verified, the bureau has 30 to 45 days to remove the negative item from your credit report and notify the other bureaus of that same information. As you're going through this process, be sure to keep a record of everything. This includes a log and detailed notes of any phone calls made and all documents such as police reports, and letters you send out to creditors, banks, and credit card companies. Follow up with the credit bureaus, lenders, and the police. Check your credit reports regularly to ensure that there are no more fraudulent charges or incorrect information on them. Fixing your credit after identity theft is a painstaking and frustrating process -- on average it takes anywhere from 30 to 50 hours. While you can dispute the items yourself, using the services of a professional credit repair company can save you both time and money in the long run. Credit repair companies can legally assist in removals of identity theft-related credit damage. How Can I Prevent Identity Theft In The Future? Shield your PIN from strangers at ATMs. Use a different password for each account and ensure that these passwords are lengthy and contain a variety of numbers, letters, and other characters. Use a secure website for personal logins. You can look for a lock icon on the address bar or check that the URL starts with "https." Pick up mail promptly, especially any tax paperwork and bank statements. Don't give out any personal information over the phone. Check your bank and credit statements each month to make sure all transactions were made by you. Check your credit reports often by receiving an annual free copy from each bureau. Shred any documents containing sensitive and personal information. Keep your online accounts secure by changing your passwords often and installing current and up to date anti-virus software. Use a reputable credit monitoring service that notifies you when a new account opens up using your name or social security number. Think about taking further preventative measures such as using an identity theft and credit protection service like Identity Guard, IdentityIQ, and PrivacyGuard. These companies can provide you with credit report monitoring, dark web and internet monitoring, up to $1 million in identity theft insurance, social security number alerts, lost wallet assistance, identity restoration services, and more. Want to know more about credit repair? Check out our comprehensive guide here.